An urgent job. 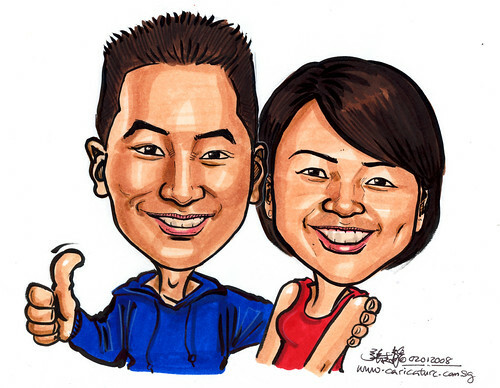 This couple will be using this caricature artwork on the front of their wedding invitation card. Thank you for your drink, Dickson! Amazing Caricature! You are good, thanks for sharing.